This page offers an ever-increasing selection of Confederate stamp and postal history exhibit pages, most award-winning and some strictly informative. All are helpful to your understanding of the Confederate postal system. I hope they educate you, inspire you, and give you pleasure. If you have a .pdf file of your exhibit, past or present, that you'd like to share, please let me know. If you have image files, I can work with that too. My thanks to Mike O'Reilly for converting some of the image files to .pdf single document format and to Tom Lera for the London 2015 show floor photo. At the bottom of the page are links to organizations that help exhibitors prepare and improve their exhibits as well as links to organizations specializing in Confederate States material. Confederate Mail Transmission Across the Union Lines During the American Civil War - Dr. Daniel M. Knowles. Best in Show. PhilaMercury Digital Rendezvous 2017. Newberry District South Carolina in the Confederate States - Giana Wayman. FIP Gold Medal exhibit (Paraguay 2011). This exhibit has mainly been shown in FIP international competition. The only time it was shown in the States was at SESCAL 2008, at which it received a large Vermeil and the Lynne Warm Griffiths Memorial Award for United States Classics. Florida Civil War Postal History - Deane R. Briggs, MD. Ten-frame exhibit that traces the development of Confederate and Union postal history in the State of Florida during and immediately after the Civil War. This is the full range of this exhibit which has been shown over the years in various sections since 1987 and consistently and deservedly won top honors. Among the many awards are Grand Awards at Florex 1990, Florex 1994, Sarasota 1999, Sarasota 2014 and Single Frame Grand at Westpex 2011 for Florida Confederate Postmaster Provisionals. 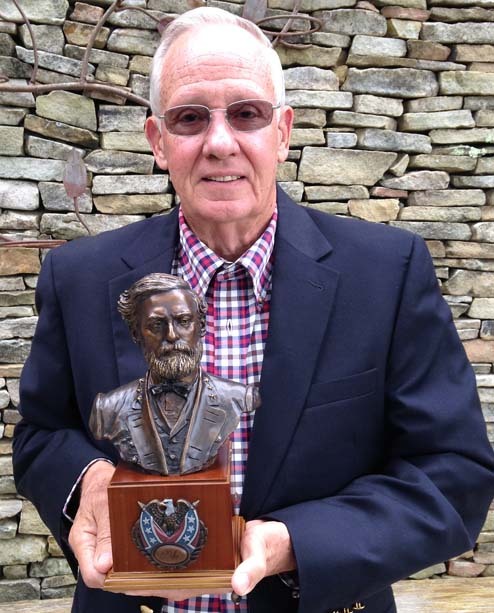 Dr. Briggs has won the CSA Trophy three times for the Best and Most Comprehensive Exhibit of Confederate Stamps and/or Covers. Building Confederate Unity: The Important Role of Flag Covers - Randolph Smith. This impressive two-frame exhibit won the Generals' Award at the CSA Annual Convention in London at Europhilex 2015. The Nitre and Mining Bureau - Thomas Lera. One frame comprehensive study of the semi-official imprinted envelopes of the C.S. Nitre and Mining Bureau. Winner of a Vermeil in open competition at Europhilex 2015 in London as well as one of the CSA Trustees' Awards for Research. See Tom's article on this topic; it won the CSA Writer's Award for the best article in The Confederate Philatelist in 2001. Independent State and Confederate Mail of West Virginia 1861-1865 - Wayne Farley. Winner of one of the CSA Trustees' Awards for Research at Europhilex 2015 in London. Patriotic Covers, Lettersheets etc. Used Within and From the Confederate States of America during the Civil War (1861-65) - John H. Walker. 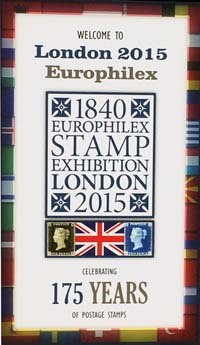 Winner of the John W. Kaufmann Memorial Award for the best exhibit displaying Confederate patriotic covers as shown in London at Europhilex 2015. Annual Convention at Europhilex 2015 in London. Advertising Covers in the Confederacy - Larry Baum. Winner of a Robert A Siegel Award at 2015 CSA Annual Convention at Europhilex 2015 in London. Annual Convention at Europhilex in London. Tudor Hall Post Office: Manassas Junction, Prince William County, Virginia - Ian Tickell. Winner of the Brian and Marian Green Award for the best exhibit with military content, as shown in London at Europhilex 2015. Destination Confederate New Orleans - A selection of covers addressed to New Orleans, Louisiana, 1861-1862 - Ian Tickell. Confederate Five Cents Typograph Adhesive - Ian Tickell. Who, What and Why - Richard F. Murphy and Steven M. Roth. An informational one-frame exhibit shown at the 2015 Confederate Stamp Alliance booth at Europhilex in London to explain the history of the Alliance as well as the CSA Authentication Service. The American Civil War 1861-1865 - Anders Olason. This 8-frame exhibit was shown at Nordia 2015, put on by Swedish Philatelic Exhibitions. It describes the political events preceding the war, mobilization, organization of supplies and transports, military developments, and finally the aftermath of the war. The American Civil War had an important impact on postal services and much of the story is told by contemporary material. Confederate States Postmasters' Provisionals - D.K. Collection (name withheld). Courtesy Robert A. Siegel Auction Galleries, Inc.
Confederate States of America 1861-1865 - Benjamin Wishnietsky exhibit. Winner of countless CSA awards over the years. Courtesy Robert A. Siegel Auction Galleries, Inc.
Charleston, South Carolina, The First Year of Secession - Richard L. Calhoun exhibit. Winner of countless CSA awards over the years. Courtesy Robert A. Siegel Auction Galleries, Inc.
Special Postal Routes Across the Lines During the American Civil War - Steven C. Walske. Winner of numerous CSA awards. Courtesy Robert A. Siegel Auction Galleries, Inc. This exhibit was first shown in 2003 in St. Louis where it won the Grand Award. It also received a Large Gold (98 points) with Special Prize and Felicitations of the Jury at the Washington2006 International, runner-up for the Grand Prix National which was won by William H. Gross. Telegraphy in the Confederate States of America - George Kramer. Gold at ARIPEX 2012; Single Frame Reserve Grand and Gold and American Association of Philatelic Exhibitors Creativity Award at APS Ameristamp 2012; Vermeil, APS StampShow 2013. Courtesy of the American Philatelic Society. Confederate Navy Covers - James Myerson. Six frames. Courtesy of Richard Frajola. Civil War Blockade Run Mail, 1861-65 - Steven C. Walske. Two frames. Courtesy of Richard Frajola. Edged in Black. Mourning Covers in the Confederacy - Paul Bearer. One frame. Courtesy of the Mourning Stamps and Covers Club. Tales from the Blockade - Richard Frajola. One frame. The Battle of Hampton Roads - James Myerson. One frame. Courtesy of Richard Frajola. Mobile, Alabama CSA Provisional Issue - Van Koppersmith. One frame. Courtesy of Richard Frajola. The Buck Boshwit Collection - Confederate Tennessee Postal History exhibit (as well as Arkansas and magnificent adversity covers) formed by the late Buck Boshwit of Memphis. Buck won virtually every one of the Confederate Stamp Alliance exhibit awards including the coveted CSA Trophy, as well as many national philatelic exhibit awards. Prior to the auction of most of his collection, the Boshwit family allowed Buck's collection to be scanned by the Shelby County Archives Department of the County Register so that it would remain available to future students and researchers. The William H. Gross Stamp Gallery of the Smithsonian National Postal Museum - the world’s largest gallery dedicated to philately. It provides an experience available nowhere else and offers something for everyone, from casual visitors to experienced collectors. This is a link to the opening gala event with further links to the museum itself. On display is the Confederate "Lost Plate" as well as numerous Confederate postal history rarities such as the largest known used block of of CSA 8 on cover. There are pullout frames containing more than 20,000 objects, providing ample opportunities to view noteworthy stamps that have never been on public display. American Association of Philatelic Exhibitors - The name says it all. This group exists to share and discuss ideas and techniques for improving standards of exhibit preparation, judging, and the management of exhibitions. They serve the entire range of people who work or have an interest in one or more of these fields; whether novice, experienced, or just beginning to think about getting involved. 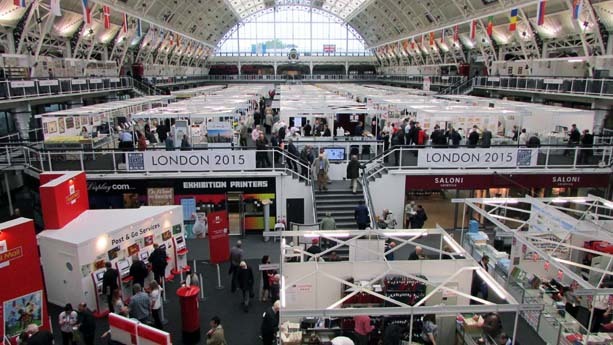 The goal is to encourage your increasing participation and enjoyment of philatelic exhibiting, and to ensure the health of this part of our hobby. One of their many outstanding online exhibits is How to Build a Philatelic Exhibit. They even have an exhibit feedback service which is an excellent tool for beginner and experienced exhibitors alike. Their journal is a quality thought provoking magazine edited by Randy Neil, one of AAPE founders and one of the best editors in the hobby. American Philatelic Society- Exhibiting - If you have never exhibited and have no clue how to start, this would be an excellent starting point. The APS has an all important downloadable Manual of Judging which explains what judges are looking for. There are articles, seminars and online exhibits to peruse. The American Philatelic Research Library has over 750 exhibit reproductions, nearly 100 of which are digital scans with the remainder being paper copies. While most are not Confederate, they will give you an idea how your material may be shown effectively. postal history. An application for membership is available from trishkauf@comcast.net or may be downloaded by clicking on CSA application. The CSA also maintains a respected expertizing service which determines the authenticity of Confederate stamps and covers, an important mission of the Alliance.